Whether you’re stuck in a rut for inspiration or just can’t get organized to cook, this meal planning tool is a must! 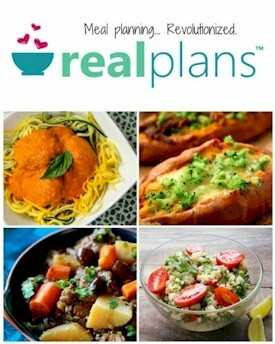 Real Plans is a great meal planning tool with many great features and flexibility. It creates a custom plan to suit your family’s size, busy schedule, and ever-changing needs. Living Natural Today recommends using a real food meal planning tool to make preparing weekly meals easier. We like and use the online meal planning tool that Real Plans provides. They offer traditional recipes, but they especially cater to those who eat a Paleo diet. They also provide the flexibility to upload your own recipes.